Jennifer Koh plays live on Midday from NPR studios in New York. 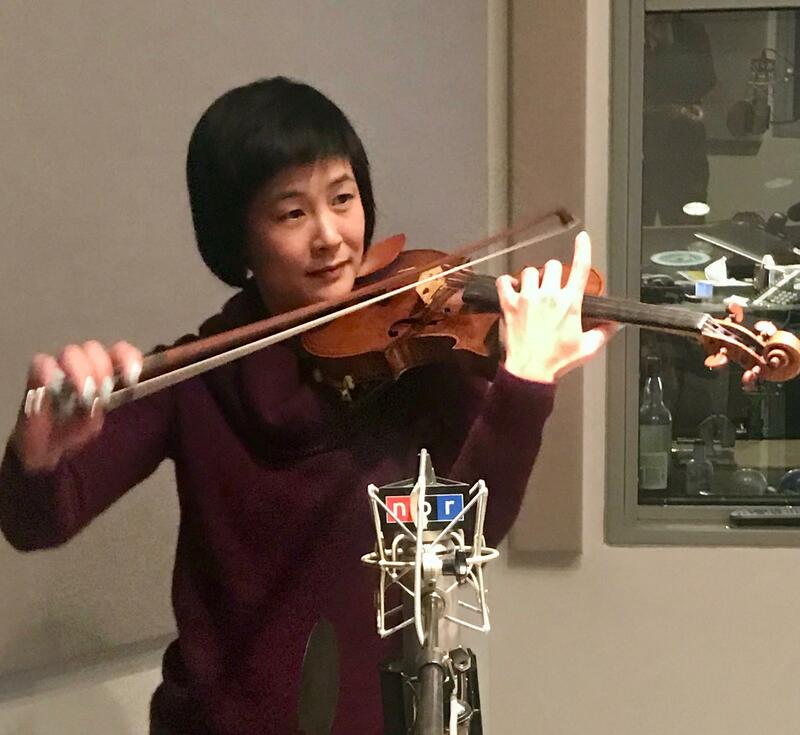 Acclaimed classical violinist Jennifer Koh joins us live from the studios of NPR in New York City. Not only is she a virtuosic player, she is one of the great champions of contemporary music, having commissioned more than 70 works from a brilliant and diverse group of composers from all over the world. Ms. Koh will be playing a concert on Sunday, January 27 at 5:30pm at Baltimore's Hebrew Congregation, performing a program of Beethoven Sonatas and a modern piece by Vijay Iyer, with her frequent concert partner, pianist Shai Wosner, as part of the Shriver Hall Concert Series. We're delighted to welcome Jennifer Koh to Midday today. She talks about her art and her upcoming concert, and performs two short solo pieces: “Kinski Paganini,” by Missy Mazzoli, and the Sarabande from the Violin Partita in D Minor by Johann Sebastian Bach. The show's closing music is from the first movement of Beethoven's Sonata for Violin and Piano No 1. in D Minor, Op. 12, performed by Jennifer Koh and Shai Wosner at the Aspen Music Festival and School, in July 2015.